Inevitably it came down to this: candy cane ornaments. We shall make you. 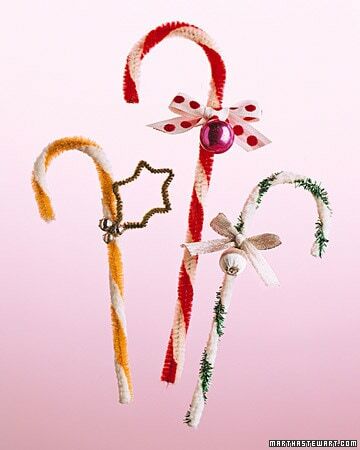 For these simple ornaments, we used regular candy canes, jute, some hot glue and different ribbons and bells to add as “accent pieces,” if you want to put it that way. 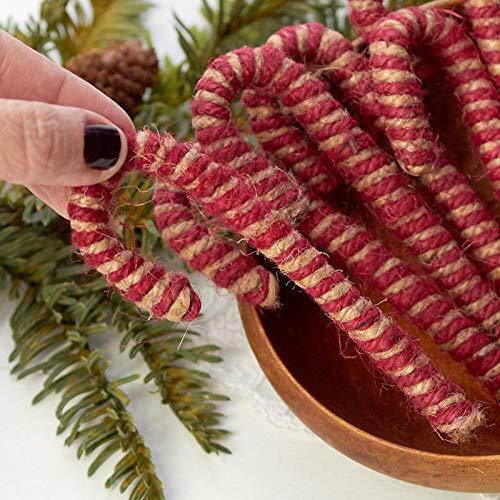 These are the easiest to make – simply wrap the jute around your candy cane and apply hot glue where it’s needed to keep the whole thing together. 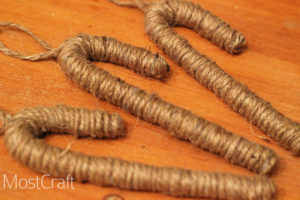 Keep the jute wraps tight on each other to make sure you fully cover the candy cane. 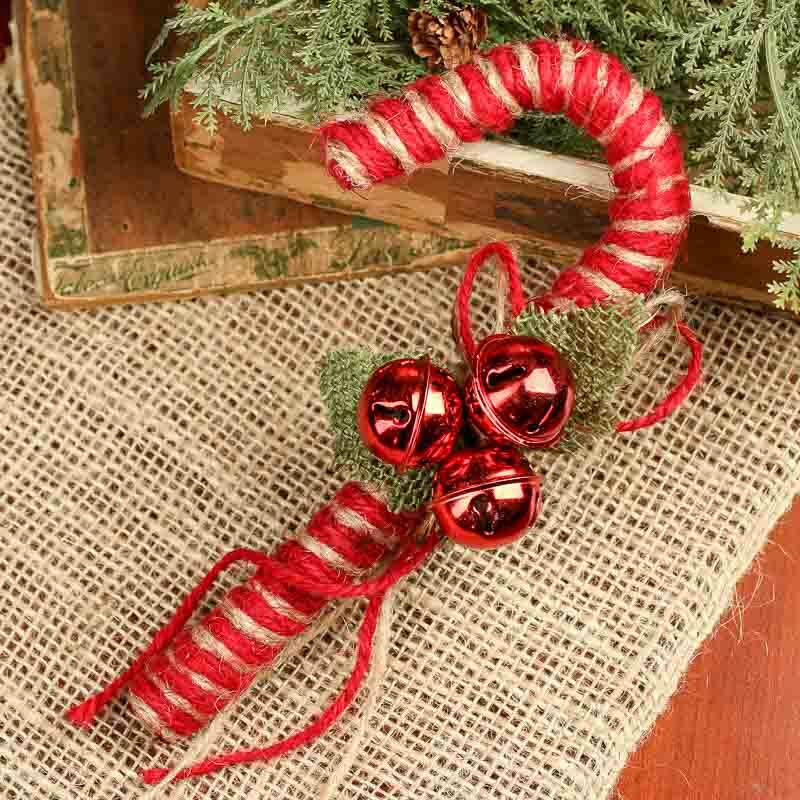 Add a loop of jute to the top of the candy cane to use as an ornament hook. 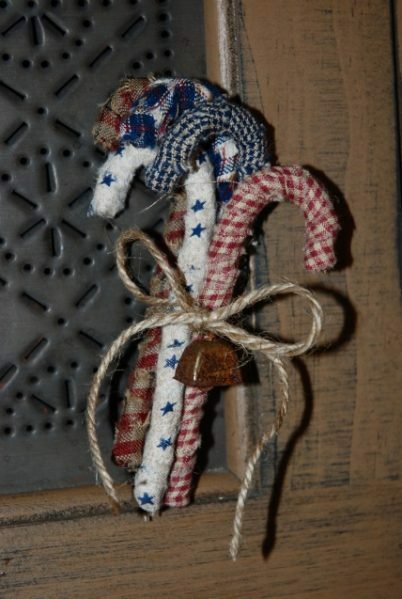 For these, we wrapped the candy canes in jute, then wrapped them in a cute (we think so, anyway) Christmas ribbon. 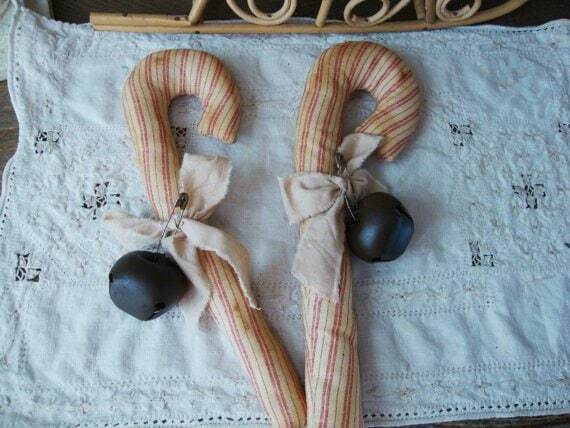 We try not to play favorites, but deep down these are probably our favorite candy cane ornaments. 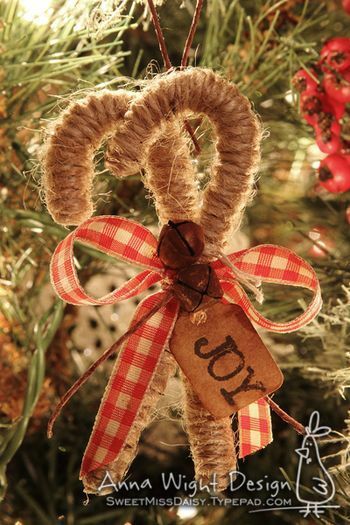 Ribbons and Bells and Jute. Oh My. 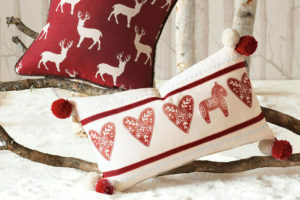 We loved the way all these candy cane ornaments turned out. 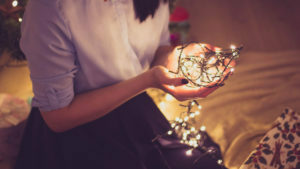 They’re perfect for that country Christmas look, and great as gifts to people who you think might be getting you gifts too. 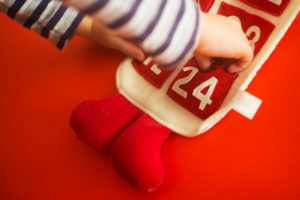 Here are a few other DIY candy cane ornaments we like. 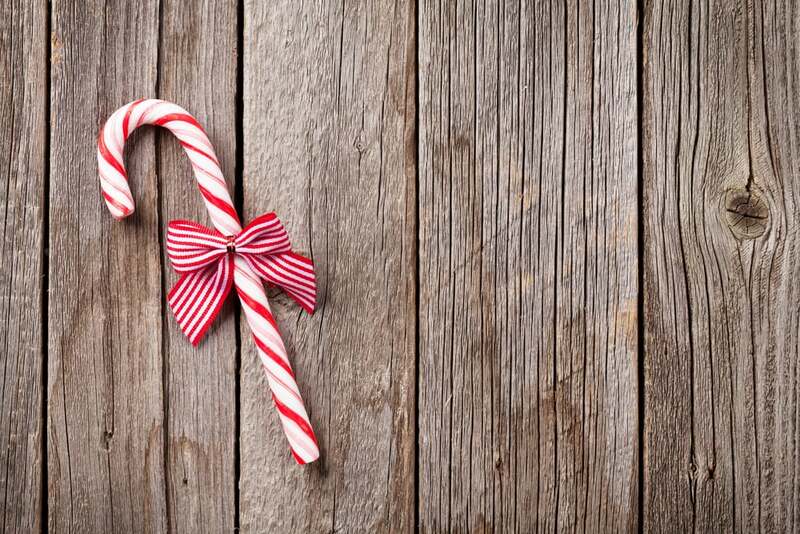 Tell us about your candy cane ornaments in the comments below!